Your children will have a fun time playing with Disney Infinity toys. Purchase Disney Infinity products from Home Bargains, The Works, and other UK retailers. No need to pay the full price when you use Disney Infinity voucher codes and special offers. You can pick the most ideal Disney Infinity deals that is suitable for your needs. Using the latest discount codes is an amazing way to get great value for your money. With our assistance, you can fulfill and purchase the Disney Infinity offers on your wishlist at very affordable prices. Find the best Disney Infinity deals and discount codes here at Latest Deals! Avalanche Software developed and released Disney Infinity - an action-adventure sandbox toys to life. The Toy Box is the setting of the series. It is a customisable universe that uses the imagination. It is made up of the toy versions of Pixar, Disney, Marvel, Star Wars, among others. On May 11, 2016, the Avalanche Software announced its closing which ended the franchise as well. But, Microsoft Windows released the Gold Editions of the three games in the series. It has the existing figures and playsets that also featured Zootopia figures. On August 18, 2013, the first ever Disney Infinity was released. It was found on various platforms such as Xbox 360, Wii, Nintendo 3DS, Wii U, PlayStation 3, iOS and Microsoft Windows. Until 2015, the third instalment was released. There were sources saying that the game would still continue. But none has happened so far since May 10, 2016. The game has physical toys and an open world creation as its gameplay. With the use of figurines and discs, the characters and playsets are brought. The only non-human characters in the game are the Cars with a double jump. Sulley and Jack can roar. Violet and Randall can be invisible. These are all present. Moreover, there are two main mods - Play Set and Toy Box. Both have a self-contained world. What to Love in Disney Infinity Video Game? The Gameplay Basics. You have to master the two modes involved: Play Set and Toy Box. Expect characters from every film including Captain Jack Sparrow. Afterwards, you have to participate in a certain campaign. The game would have an idea of the pieces you want to play. This happens through the special disk in the Infinity Base. You cannot mix the characters here. It is different for Toy Box though. This is a mode where you can come up with your own world. You can also mix and match players here. When you do that, you can roam around and discover new things. That is the beauty of it. Disney Infinity - Its Magic. The game works because it is not only a game. It also serves as a platform. It involves the collection of figurines too which some adults are into. Ever since this was released, it boosted the profit if Disney. It also evolves too for every film is a potential inclusion. Aside from this, there are also themed accessories for game controllers and base protectors that gamers should secure. Playable Characters. There is a wide array of characters that can join a certain universe. For example, Mike Wazowski and Randall Boggs can hop into the Pirates World. They can also team up with Sully. Every universe holds multiple characters as well. Both of them can be villains and heroes. They always make the game even more interesting. Power Discs and the Toy Box. The power discs and toy box of Disney Infinity are like no other. This is the mode that opens up the world for you. Once you access this, you will be given a number of items available for the building. You can also make smaller items such as mini-games, cars and soccer games if you want to experiment. Varying Universes. Radiator Springs is an area you can check in Infinity. It has miles of terrain that covers Lightning McQueen, Francesco Bernoulli, Tow Mater and Holley Shiftwell. The Pirates of the Caribbean exists. It is found in the launch of the package of Infinity. You may also come across Nightmare Before Christmas, the city of The Incredibles, among others. There are plenty of ways to save on your purchases online. 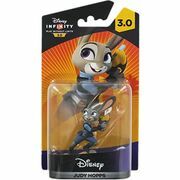 Most online UK shops such as Amazon, Argos eBay, Grainger Games have regular sales, seasonal clearance, and flash sales where you can get up to 50% off on a wide array of cheap Disney Infinity, Disney Infinity PS4 and more. There are even retailers that have 3 for 2 and 2 for 1 offers on select items. Also, the best time to get huge savings is during Black Friday, Cyber Monday, and Boxing Day where an extensive selection of products like Disney Infinity Xbox 360, Disney Infinity figures and Disney Infinity 3 0 playsets from your favourite UK retailers are reduced to clear. 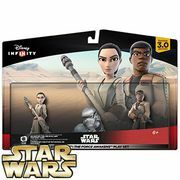 Knowing when and where to look for the lowest possible price on Disney Infinity game and Disney Infinity Star Wars is the key here. Fortunately, you don't have to spend hours online searching for special offers, bargain deals, and price drops on Disney Infinity hulkbuster for sale. Our massive community of bargain hunters regularly share verified discounts, promos, and voucher codes from Home Bargains, Poundworld, Tesco, The Works, and from other reputable shops across the country. 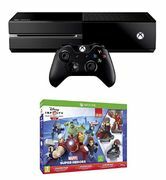 We also have a team of money-saving experts who always share essential tips and tricks on how you can get every day low prices on Disney Infinity Smyths and Disney Infinity Xbox One Base when shopping both online and instore. Getting additional money off with the help of Latest Deals is easy. You can maximise your savings by simply using the latest Disney Infinity discount code, Disney Infinity deals and Disney Infinity figures sale of your choice upon check out. There are also voucher codes that can provide you with free shipping and gifts.